TROY, N.Y. — A major byproduct in the papermaking industry is lignosulfonate, a sulfonated carbon waste material, which is typically combusted on site, releasing CO2 into the atmosphere after sulfur has been captured for reuse. 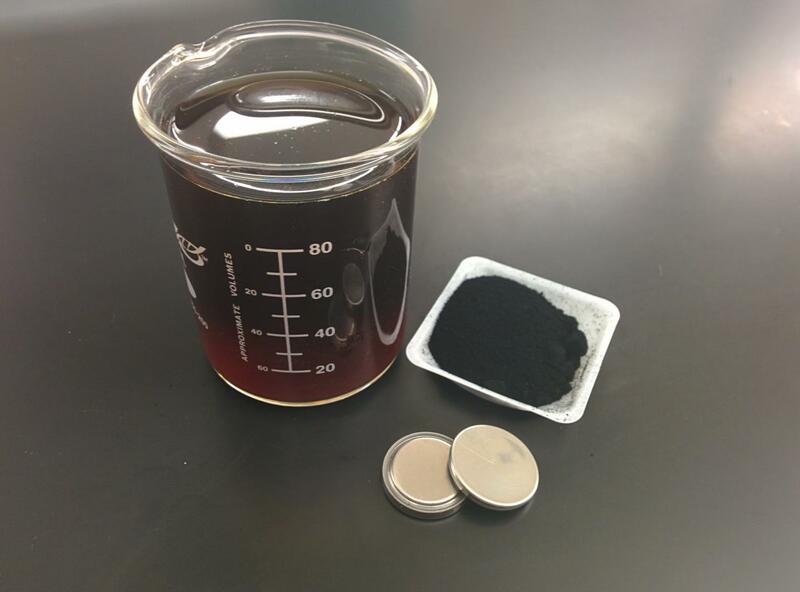 "Our research demonstrates the potential of using industrial paper-mill byproducts to design sustainable, low-cost electrode materials for lithium-sulfur batteries," said Trevor Simmons, a Rensselaer research scientist who developed the technology with his colleagues at the Center for Future Energy Systems (CFES). He has patented the process with former graduate student Rahul Mukherjee. A rechargeable battery has two electrodes–a positive cathode and a negative anode. Placed in between the electrodes is a liquid electrolyte that serves as a medium for the chemical reactions that produce electric current. In a lithium-sulfur battery, the cathode is composed of a sulfur-carbon matrix, and a lithium metal oxide is used for the anode. Researchers have used different forms of carbon, such as nanotubes and complex carbon foams, to confine the sulfur in place, but with limited success. "Our method provides a simple way to create an optimal sulfur-based cathode from a single raw material," Simmons said. To develop their method, the Rensselaer researchers partnered with Finch Paper in Glens Falls, which provided the lignosulfonate. This "brown liquor" (a dark syrupy substance) is dried and then heated to about 700 degrees Celsius in a quartz tube furnace. "In repurposing this biomass, the researchers working with CFES are making a significant contribution to environmental preservation while building a more efficient battery that could provide a much-needed boost for the energy storage industry," said Martin Byrne, CFES director of business development. Simmons and his colleagues' novel lithium-sulfur battery research, which could significantly contribute to the energy-storage industry, is an example of the vision of The New Polytechnic, an emerging paradigm for teaching, learning, and research at Rensselaer, the foundation of which is the recognition that global challenges and opportunities are so great they cannot be adequately addressed by even the most talented person working alone. The New Polytechnic is transformative in the global impact of research, in its innovative pedagogy, and in the lives of students at Rensselaer.